Algorithmic graph theory and perfect graphs / Martin Charles Golumbic. ALGORITMOS; CARACTERISTICA EULERIANA; ESTRUCTURA; GRAFOS; GRAFOS COMPARABLES; GRAFOS CROMATICOS; GRAFOS HAMILTONIANOS; GRAFOS PERFECTOS; Perfect graphs. 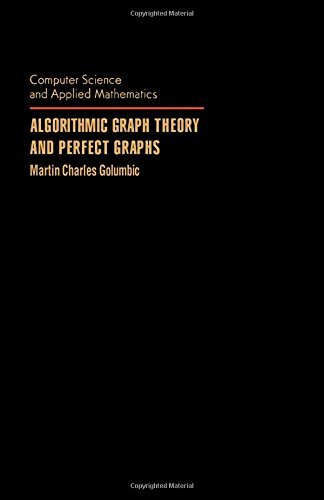 10^aAlgorithmic graph theory and perfect graphs /^cMartin Charles Golumbic. ^axx, 284 p. :^bill. ;^c24 cm.